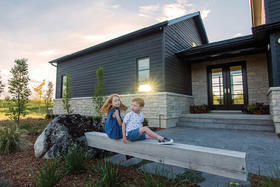 A version of this article originally appeared in the Early Summer 2018 issue of OUR HOMES Peterborough Kawartha Lakes Cobourg Durham Region Port Hope, p.22. Find Find local businesses in our Peterborough directory. In a household where everyone plays at least one musical instrument, having a symphony of birdsong out their back door was a natural draw. This recently updated home in Peteterborough offers the best of both worlds – the ambience of a country retreat with all the amenities and convenience of city living. “It’s peaceful, like a symphony orchestra with animals,” says the owner. “It took us years to find the right house,” she says. Stephen Coughlin, a sales representative with Exit Realty Liftlock Brokerage, found exactly what they were seeking in this 4,500 sq. ft. 10-year-old home. 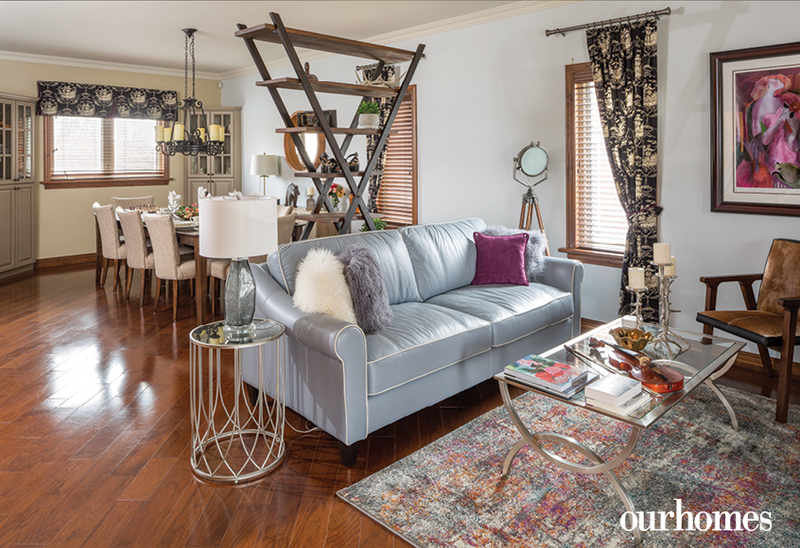 Its large open-concept living space made it irresistible. 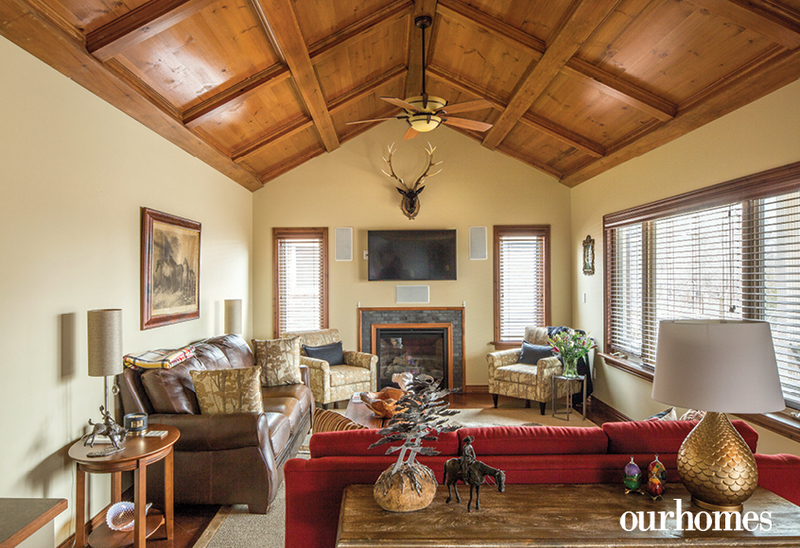 A wooden coffered ceiling and fireplace give the family room the vibe of a mountain resort. An octagonal dinette adjoins a glass-walled sunroom with a panoramic view of the lake. 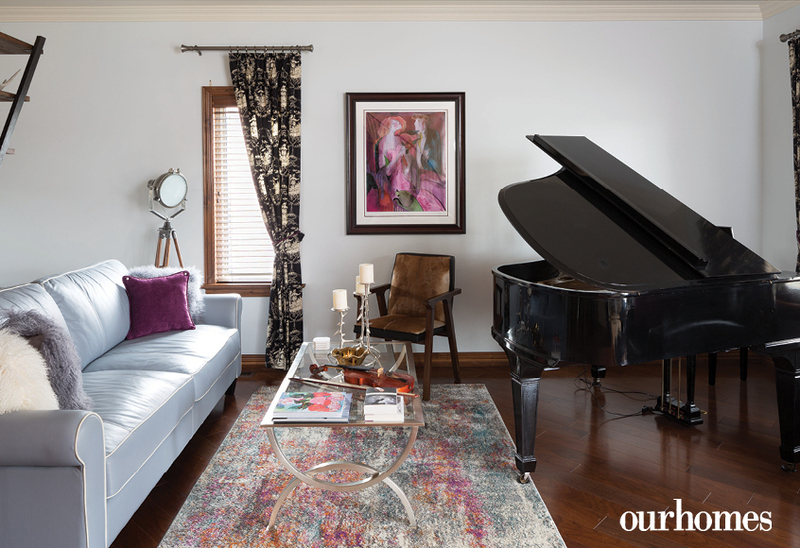 A baby grand piano has a prominent spot at the front of the home. 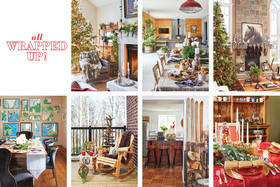 With the help of designer Leadia Younan of Knock On Wood, the owners gave the ground floor a cosmetic makeover. 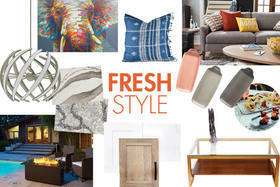 Leather sofas, wood, steel and glass lend the main living areas a modern, eclectic and classical style. The dining and music room walls are finished in Benjamin Moore’s Seattle Gray from Charlotte Paint & Wallpaper. 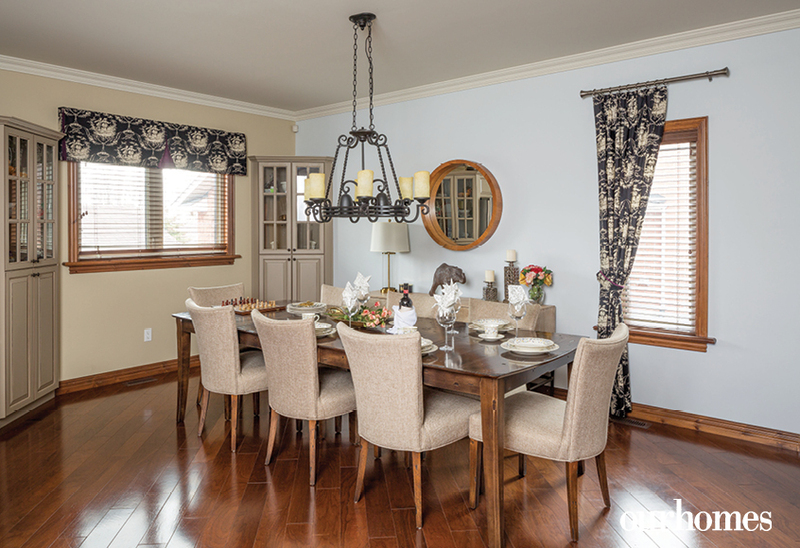 To complement the Hunter Douglas wooden blinds, they added French toile curtains, custom-made by Window Care. 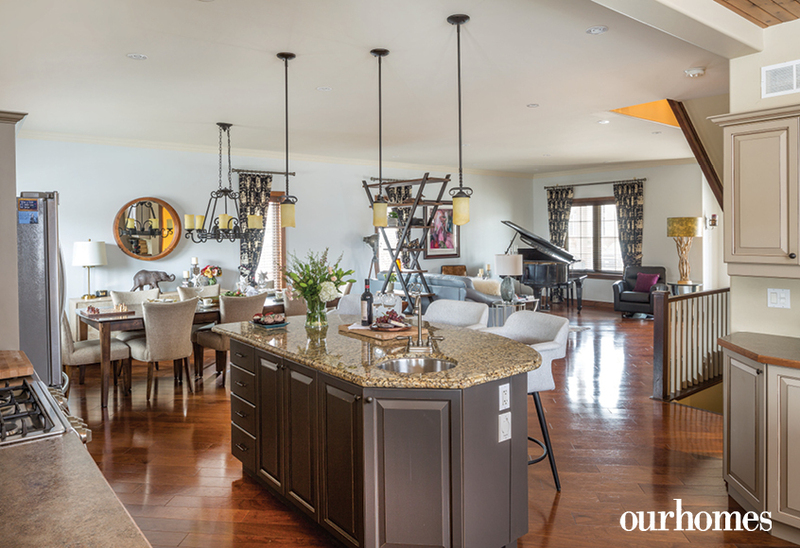 A large kitchen with a granite-topped island, cabinets, custom made by Cabinetree, and a dining bar extends from the dining room to the family room. There are few places in Peterborough with as much green space, privacy and lakeside tranquility. 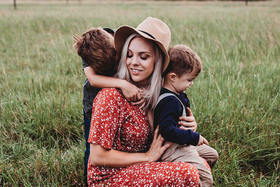 Trent Security Systems Ltd. helps preserve that peace of mind. A coffered wood ceiling lends a mountain lodge ambience to the family room in this Peterborough home. 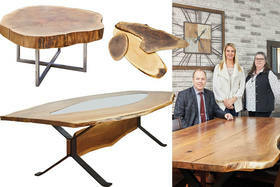 Knock On Wood furnished the dining room table and cushioned chairs. Window coverings in a French toile coordinate throughout the main home's main level. 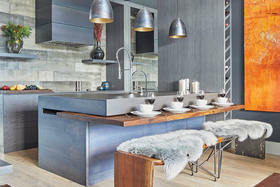 Topped with granite, the kitchen dinette is one of the family’s favourite early morning spots. Cabinetree designed and built the kitchen cabinets. 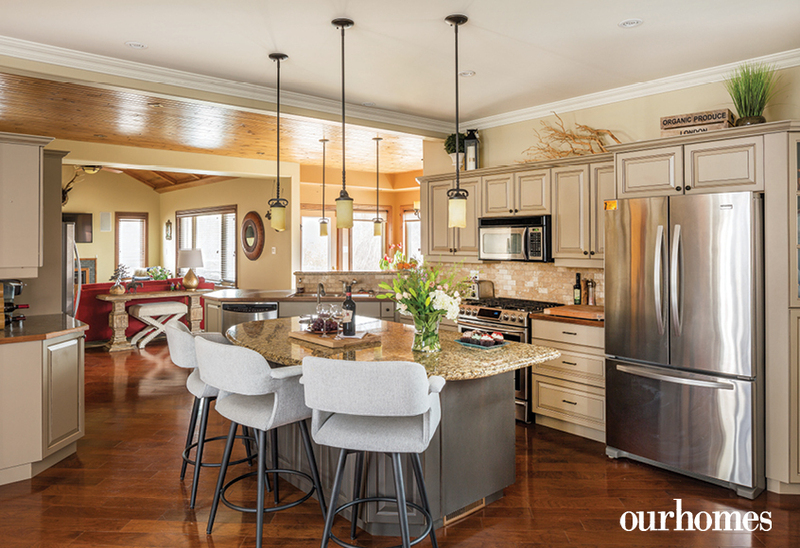 The open-concept kitchen allows cooks to remain part of the conversation in the living room. 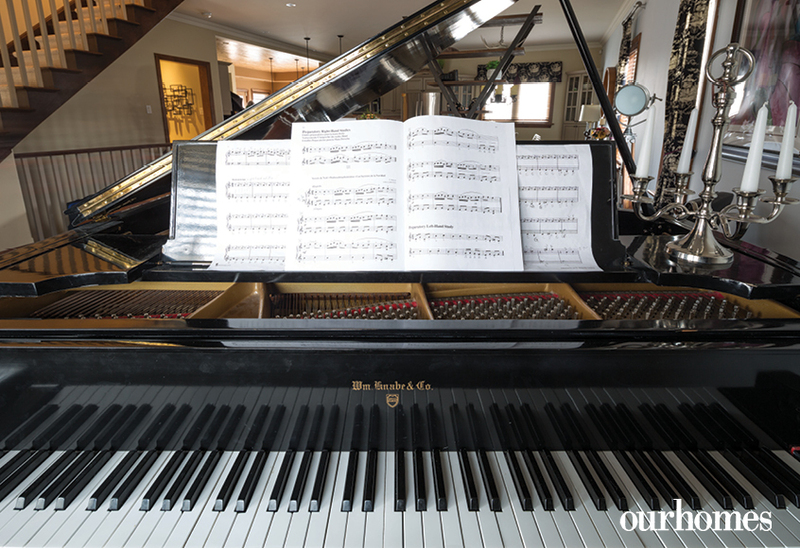 The baby grand piano takes a prominent spot in this household where everyone plays at least one instrument. An Italian leather sofa with Mongolian pillows offers the best seats in the house for piano recitals. In one corner of the sunroom, a carved ironwood horse gazes out the window. Upstairs, oak washstands serve as night tables in the large master bedroom. 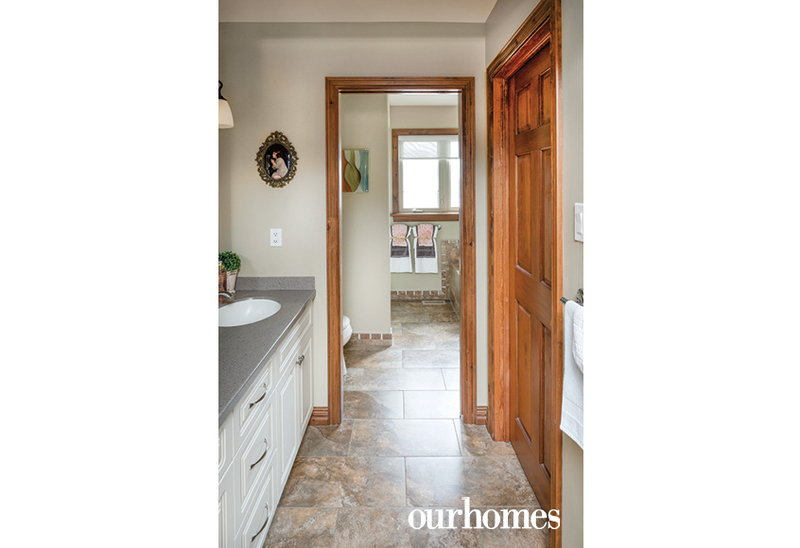 A hallway runs between a long vanity with double sinks and a walk-in closet to an en suite with a corner tub. 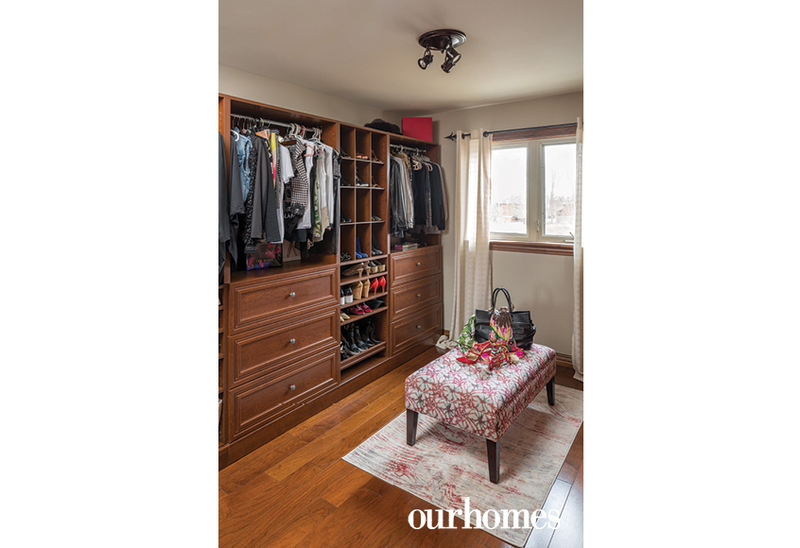 Next door to the master bedroom is a luxurious dressing room with open closets, shoe cubbies, built-in dressers and hat shelves. The en suite hall accesses double sinks in the bathroom vanity. 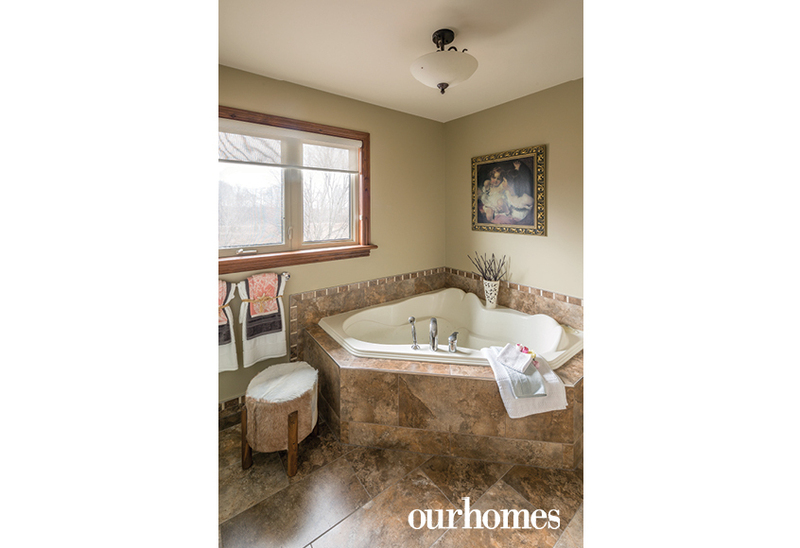 A corner tub occupies a private space in the en suite.